Steelseries Arctis Pro? More like Arctis NO! What’s this? A Blatant Cash-in? Oh dear. UPDATE: I’ve reviewed one of these, figuring I shouldn’t just yell about something without actually putting my money where my mouth is and trying it. It’s better than its lame marketing. I’ve also corrected some errors I made in this article regarding lighting features on the wireless model. I’m not an “influencer”, a streamer, or a prominent tech YouTuber…so I didn’t get a free pair of Arctis Pros for today’s surprise review embargo. 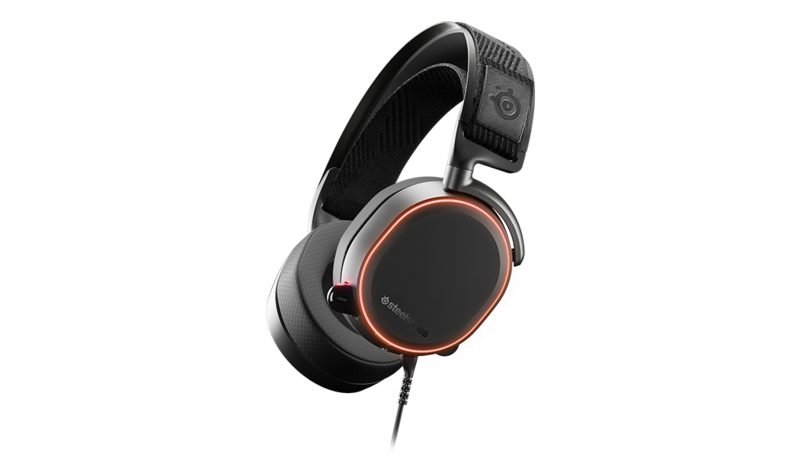 Like the original Arctis, Steelseries just dropped these new models on the market without any public warning. I haven’t used one yet. I had no inkling that it was even coming. 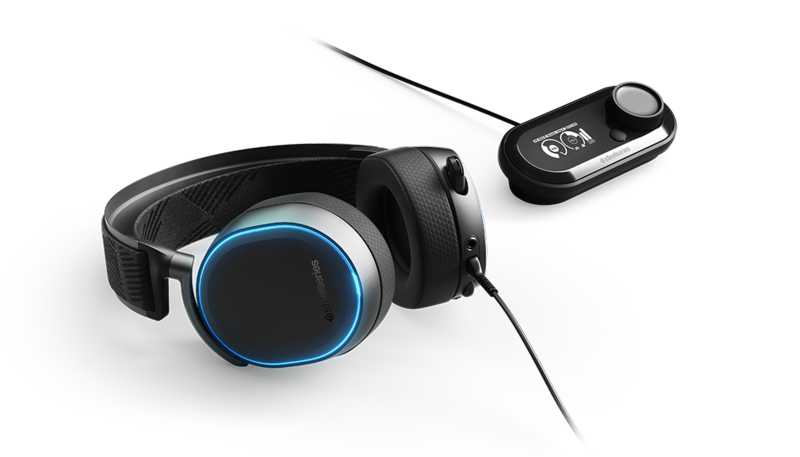 I thought the Arctis 3 Bluetooth seemed like a smart step forward, and I loved the original Arctis lineup. It was a shot across the bow of other gaming headsets. The Arctis Pro seems like…a thing designed to fool gamers into spending a lot of money. Be like this crowd of similar-looking men. Buy your Arctis Pro today. Or don’t. The Arctis Pro comes in three new models. All three share the same base design as the old Arctis 7, but with a slightly more curved metal headband. And the wired models have RGB lighting, like the old Arctis 5. The cheapest model is $179. It’s wired. It includes the little mixer dial/USB sound card from the Arctis 5, and the new DTS Headphone: X 2.0 software. Next, you can step up to the awkwardly-named “Arctis Pro + GameDAC” for $249. This includes the same wired headset as the one above, and an external DAC/Amp with a little display. Finally, there’s a wireless version for $329.00. That’s more than double what the old wireless Arctis 7 costs. Yeah. Keep in mind, the original Arctis lineup was priced at $79, $99, and $149. 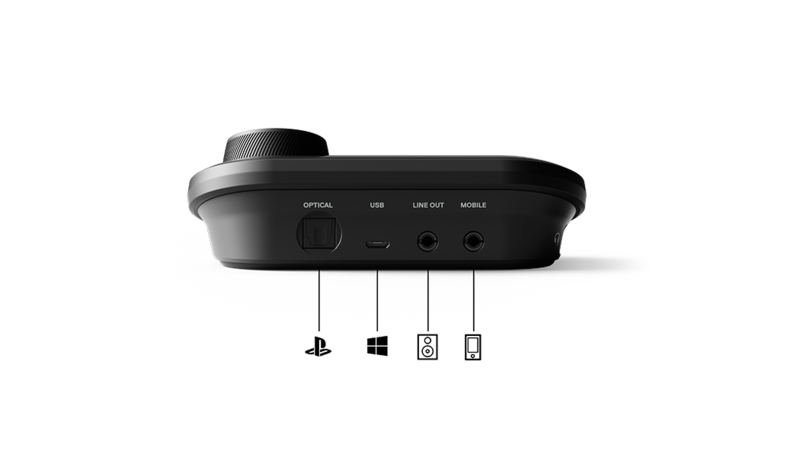 And that the $149 Arctis 7 model was largely feature-identical to the new $329 wireless Pro mode…except for the new surround system and the option to switch batteries carried over from the Steelseries 800. So, why the hell do these cost so much? The build is based on the Arctis 7, the mic is the same (which is fine because the old mic is great), and while it’s nice to have the new DTS software…it’s a little weird now that Windows Sonic and Dolby Atmos are free/cheap in Windows 10. No…Steelseries and their marketing department hope you’ll pay a premium for….hi-res audio certified speaker drivers and components. This is a real graph from the Steelseries Arctis Pro web site. Look, stupid gamer! The Arctis Pro has TWICE AS MUCH SOUND as the competing Astro product. Evaluating the sound of a headphone by a straight bar graph showing its theoretical frequency range is like testing the comfort of a pair of shoes by putting them on your hands. Humans can’t hear any sound outside the 20hz-20khz range that most headphones cover. Like, at all. So having that extra 20khz up there means nothing. Objectively. In science. Sometimes, it does indicate that the headphone driver has been manufactured to a higher level of precision. But that’s it. Besides, you wouldn’t ever want to listen to a 40khz tone, even if you could hear it. It would be the most comically high-pitched sound you could possibly imagine…multiplied by 1000. Most of the important audio information in music, movies, and video games lives between 50hz and 8khz. The DAC/amp incuded in the GameDAC bundle is hi-res audio certified, which means it can play back 24-bit/96khz audio. But you’ll need source files that take advantage of this. There are a few web sites that sell lossless music in this format for a premium price. However, games are mixed for playback in 16-bit/48khz, which means you don’t need a special DAC. Also, if you’re going to do audio production….you’re most likely going to go buy real pro gear from Beyerdynamic, or Audio-Technica, or any number of other companies. And ironically, you can pay about the same amount of money and get actual entry-level studio gear. The Arctis Pro adds features that gamers don’t need, or in some cases, can’t even actually hear…and then charges them a big premium for it. And I’m depressed, because this will probably work. If you’re one of the few people who needs a hi-res environment for mastering…you’re not interested in these. And again, as far as I know, precisely zero games are mixed in hi-res audio. And it wouldn’t make an audible difference anyway. 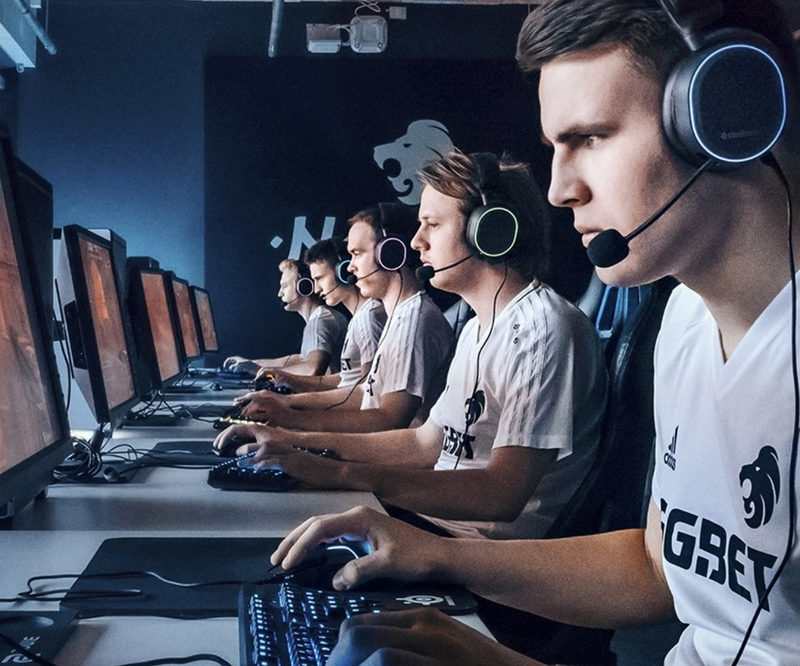 The original Arctis lineup represents a great value in the gaming space. They reproduce all the sounds that your ears can actually hear, have an exceptional microphone, are super comfy, and are priced competitively. You should probably buy the original Arctis series, if you want one. The Arctis Pro is questionable at best. It’s a silly, expensive, exploitatively marketed product, in my opinion. 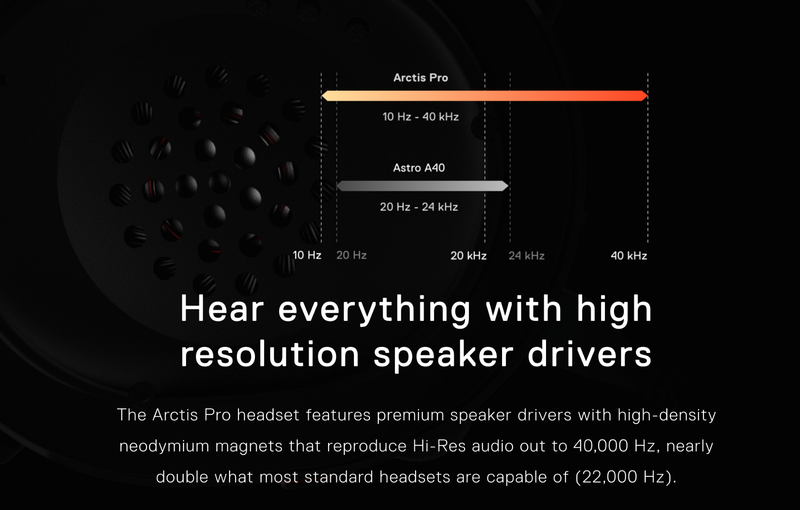 It’s trying to fool gamers with bar graphs about hi res audio and a premium price slapped onto a $149 Arctis 7. You completely fell on your face with this one Steelseries. I’m not impressed.